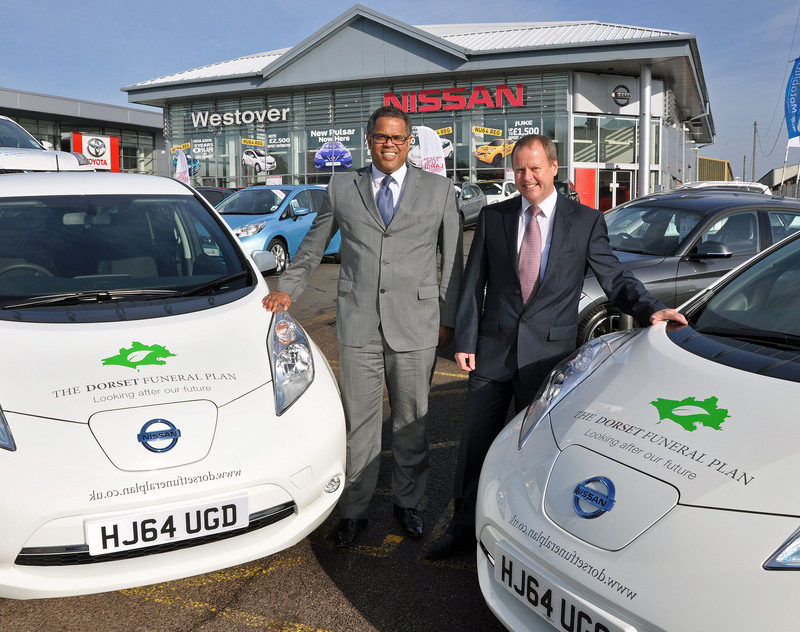 Dorset’s Douch Family Funeral Directors have taken charge of two electric cars – as the century-old business looks to the future. 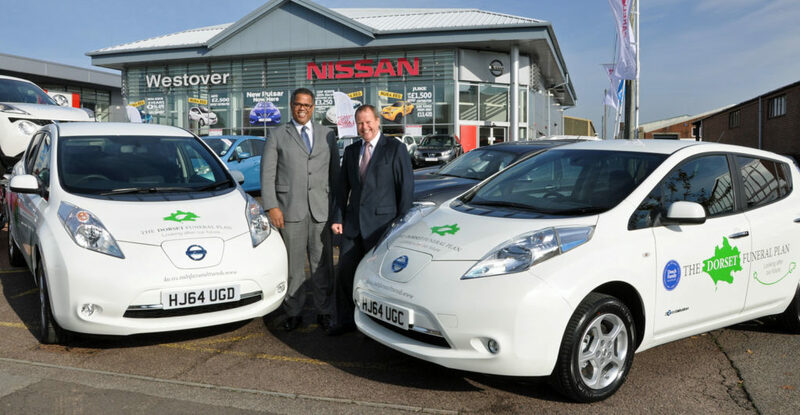 The Nissan LEAF vehicles are branded with “The Dorset Funeral Plan”, the award-winning product from the group. While funerals will still be conducted using state-of-the art hearses and limousines from the company’s fleet, the day-to-day business will be conducted in the new Nissans. One will be based at the Douch & Small branch in Wimborne and the other at the Albert Marsh branch in Wareham. Each evening the cars – from Westover Nissan in Bournemouth – will be charged, which will give them a range of 124 miles for the following day. They are no different from a normal car to drive, the only noticeable difference being the lack of noise. Nissan LEAFs accelerate from 0-60mph in 7.4 seconds and have a top speed of just under 100mph. Nick Douch, MD of the funeral group, said: “The cars are branded with the name of our funeral plan and the words ‘looking after our future’. “While many of our branches go back well over 100 years, we’ve always innovated and brought in new technology. “We’ll use the LEAFs to run between the seven branches which will mean we’ll pollute less and also make a saving. The other branches in the group are AE Joliffe & Son in Ferndown, Lesley Shand in Corfe Mullen, Ives and Shand in Parkstone, Albert Marsh in Upton and James Smith in Swanage. Sallyann Tanner, Westover Nissan’s electric vehicle specialist, said: “The average monthly cost to drive a LEAF for a month is around £20, compared to £157 for a similarly sized diesel powered car.